L. William (Bill) Krause, ‘63, has been President of LWK Ventures, a private advisory and investment firm, since 1991. Also, Mr. Krause currently serves as a Senior Advisor to The Carlyle Group and as a Board Partner with Andreessen Horowitz. Mr. Krause currently serves as a director of Brocade Communications Systems, Inc., a networking solutions and services company, Coherent, Inc., a leading supplier of Photonic-based systems and CommScope Holding Company, Inc., a networking infrastructure company. Mr. Krause previously served as a director for the following public companies: Adobe, Inc., Core-Mark Holding Company, Inc., Exodus Communications, Inc., Infoseek Corp., Packeteer, Inc., Pinnacle, Systems, Inc. Ramp Networks, Inc., Sybase, Inc. and TriZetto Group, Inc. In addition, Mr. Krause served as President and Chief Executive Officer of 3Com Corporation, a global data networking company, from 1981 to 1990 and as its Chairman from 1987 to 1993 when he retired. Under his leadership 3Com grew from a venture capital funded start-up to a publicly traded data networking company with operations worldwide. Also, Mr. Krause was employed at Hewlett-Packard Company for 14 years from 1967 to 1981 in various marketing and general management assignments. His last position at HP was as general manager of the General Systems Division with worldwide responsibility for the company’s personal computer business. In addition, Mr. Krause was elected to serve as Chairman of the American Electronics Association in 1989. Mr. Krause served as Chairman of the Citadel’s President’s Advisory Council from 1998 to 2001. From 2004 to 2006 Mr. Krause was Chairman of the Citadel Foundation and he currently serves as a member of the board of directors of theThe Citadel Foundation. Mr. Krause was recognized as a Distinguished Alumnus in 2013 and as the Alumnus of the Year for 2013. 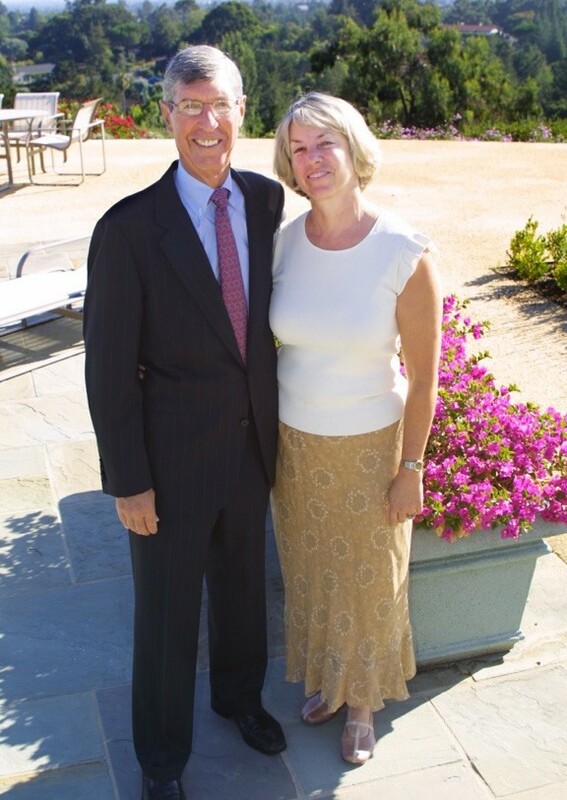 Mr. Krause together with his wife L. Gay Krause, established the Krause Foundation in 1995 with the mission to provide grants to organizations creating systemic change in education or youth development. Through a series of grants funding has been provided to support the Krause Center for Leadership & Ethics at the Citadel. L. Gay Krause, Bill’s wife and a former teacher, counselor and middle school principal in Mountain View, Calif., has been instrumental in developing the Krause Center for Innovation, a teacher training center at Foothill College in Los Altos, Calif. As executive director of the Krause Center for Innovation, she has established an outstanding regional professional developmentcenter for educators in Silicon Valley and beyond. One of The Citadel’s key strategic goals is to achieve greater student and faculty diversity in order to create a campus that is more reflective of the environments in which our students will live and work upon graduating. Bill Krause shares his ambitious dream for The Citadel to become recognized as a premier institution for producing principled leaders, not only in the Southeast, but throughout the nation and across the globe. The Krause Center Curriculum aims to develop the leadership skills and ethical reasoning abilities of Citadel cadets and gradate students in order to provide them with a foundation for success in their chosen field of endeavor. The Citadel instills in its students a sense of discipline, perseverance, pride and collaboration that often prove instrumental in one’s success later in life. Bill Krause, ’63, discusses leadership and diversity as the keys to success at The Citadel. Learn what motivated him to establish the Krause Center for Leadership and Ethics. What do you think are the keys to success?